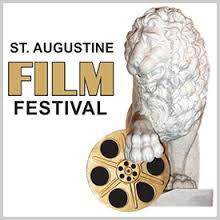 St. Augustine Film Festival coming soon to the Oldest City! Local film buffs are buttering their popcorn and gearing up for the 7th Annual St. Augustine Film Festival, coming January 21 and 22! Presented by Flagler College, the event will feature more than 40 films—many international—shown in five local theaters including Flagler’s Lewis Auditorium, the Gamache Theatre, and three screens at the Corazon Theatre. Some viewings will even feature special guests like directors, writers and actors.